Some days I don’t feel like cooking. Of course it’s easy to fire up the laptop, click around on Seamless and order dinner the modern way. Pour a glass of vino, stream half an episode of Better Call Saul and a plastic bag full of food you don’t have to cook suddenly appears at your front door. It’s magic. And, sometimes, it’s a well earned reprieve after a long day. But not all the time. That Moo Shu pork you want to order is totally tasty, but you can do better. Here are 5 delicious recipes you can whip up in 20 minutes or less. Remember the first time you hit the Chinese buffet? 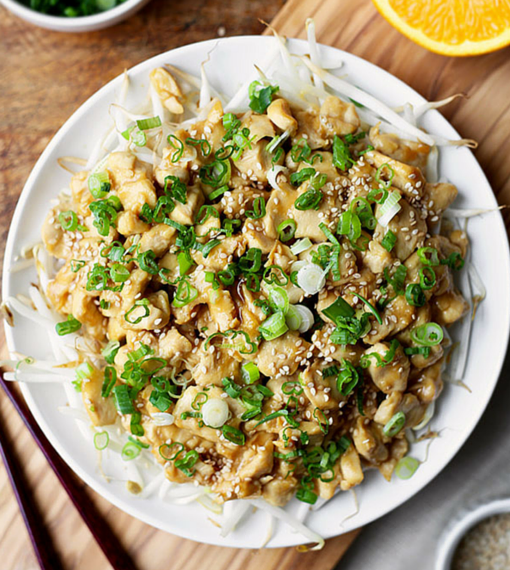 This savory, bright and naturally sweet orange chicken recipe will remind you of that great moment in your personal food history. Bonus: it only takes 20 minutes of your day to make! This is one of those recipes you can whip up even if the cupboards are approaching bare, but you still want to cook for the family. 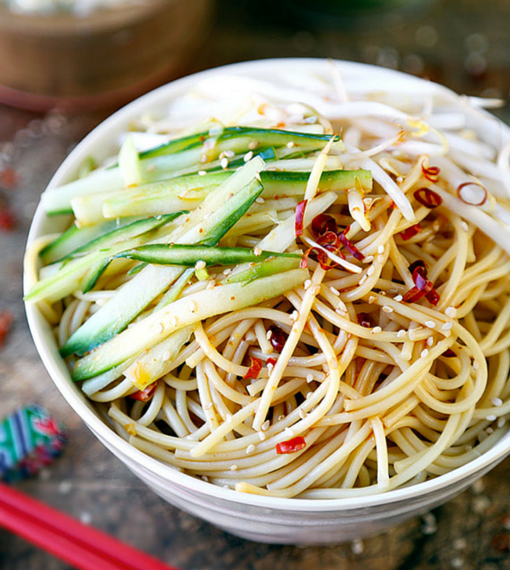 When it’s sunny and warm outside, this spicy and nutty cold noodle salad will hit all the right notes. Delicious, minimal prep and ready in no time. Have leftover rice in the fridge from the last time you ordered out? 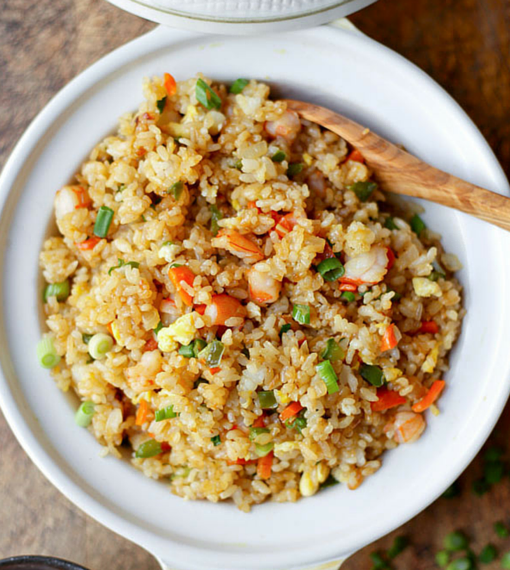 Put it to good use and make this insanely easy, briny and savory fried rice. This is another easy recipe you can whip up with common ingredients you have lying around the kitchen that totally tastes better than delivery. Smoky bacon: check. Funky, spicy kimchi: check. Just add cooked udon noodles to the equation and you’re almost done. I love adding a fried egg on top for the creamy element the yolk brings to the mix. 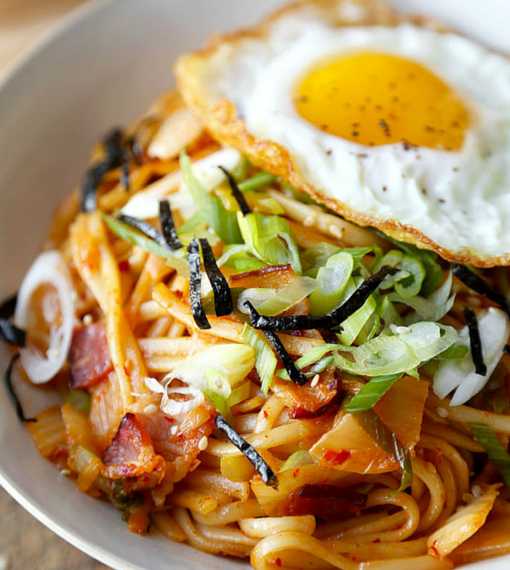 This Korean inspired dish is so popular at my place that there are never any leftovers. Ready in 15 minutes. Do you like it spicy and sweet? Me too. I can’t think of a better combo than Sriracha, soy sauce, honey and rice vinegar to absolutely nail a well rounded flavor profile. 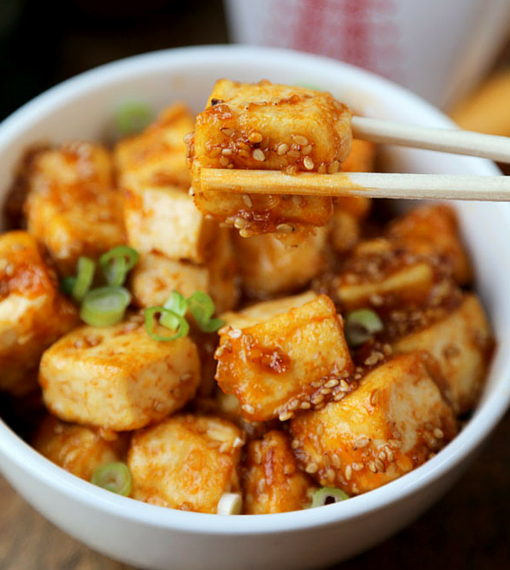 The old adage that tofu tastes like whatever you cook it with is totally true in this case. The tofu cubes are both crispy on the outside and pillowy soft inside; perfect for vegetarians and omnivores alike.